As a 2L, I like to think that I’ve learned from my mistakes last year. One of those mistakes was being overly ambitious about how much studying I was going to get done over spring break. Before I knew it, it was the Wednesday of break and I was watching The Office for the third time. My class notes were closed and forgotten on my desk. Ah, procrastination. This year, I’ve got a new spring break game plan, and it still includes my beloved Netflix. You’ve heard the saying: 1L year: they scare you to death. 2L year: they work you to death. 3L year: they bore you to death. Is it true? Maybe a little. With classes, Law Review, job interviews and club activities, it can be difficult to stay on top of everything. That’s why I’m using some of my week off to catch up on everything I’ve had to push to the side this semester. Miss a day of class? Time to borrow a classmate’s notes from that day! Left some things out of my class outlines? Better get them updated! Making sure I’m up-to-date in my classwork is a realistic goal that will keep me productive without making me feel overwhelmed with work. Speaking of getting caught up, spring break will be a great opportunity for me to spend some time with my family and friends. As fascinating as the legal field is, I’m excited to hear about things that aren’t law-related! But, will someone please remind me not to bore my friends from undergrad (again) by telling them about the Fourth Amendment? I’ve only got a couple of spring breaks left before I become a Real Working Adult, so I definitely want to enjoy them as much as I can. This is where Netflix comes in. I’m happiest when I’ve got coffee in one hand and the TV remote in the other. Since I’m getting caught up in school and with loved ones, I might as well get caught up on some TV! With all of the stress and hard work from the first half of the semester, I think everyone deserves an actual break. That’s why I’ve made plans to have some fun this week. It may not be a full week of productivity, nor will it be a full week of nonstop fun, but I know it’s going to be just enough to get me rejuvenated for the rest of my 2L year! 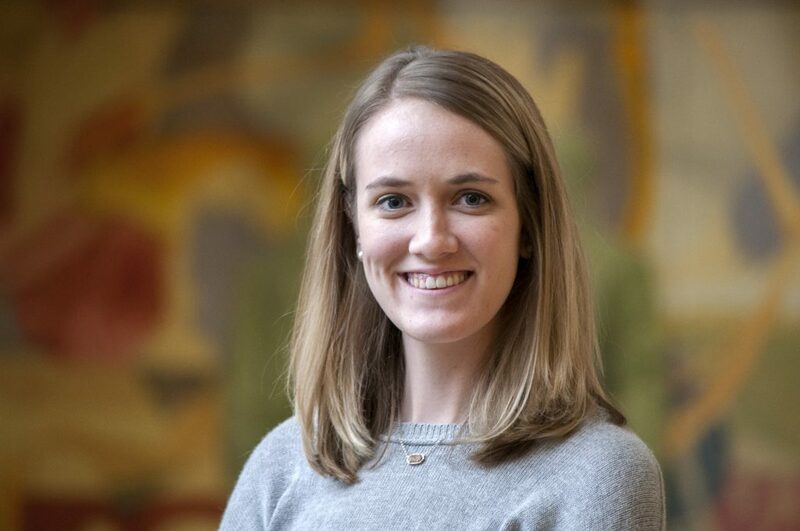 — Emily Leiker is a 2L from Hays and a KU Law Student Ambassador.